when looking for the best left handed gaming mice, I understand not everyone can afford mice that cost more than $50, so with that in mind I’ve decided to start this list off with some good left handed gaming mice that you can get while still remaining on a budget. 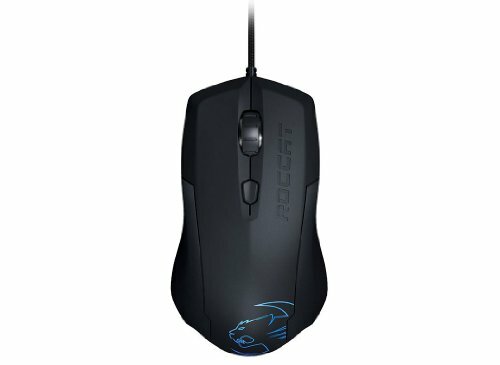 It would be fair to regard the Roccat LUA gaming mouse as the best left-handed action gaming mouse on a budget because of its outstanding precision and customization options. The LUA was designed in a way that it can be used by both left handed and right handed gamers thus making it an ambidextrous mouse. 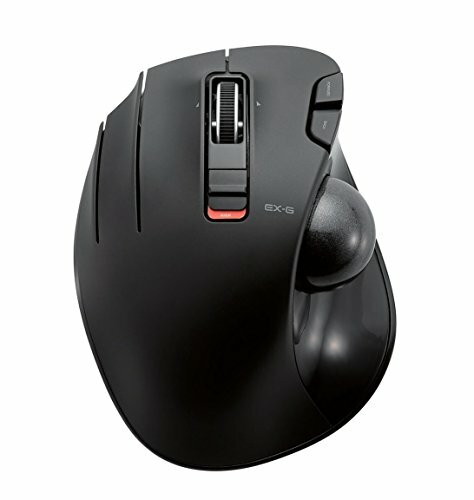 Some of the modern and advanced engineering options on this mouse include a pro optic sensor which increases precision. It also has a 2D wheel that comes with lock-in incremental steps to help in simpler navigation. Furthermore, this gaming mouse has a Roccat driver which allows customized gaming, and it also comes in a V shape which makes it ideal for gamers with different hand sizes. My only main issue with this mouse is that it only has three programmable buttons which is nothing when you’re trying to play a game that requires keybinding multiple moves to be competitive. 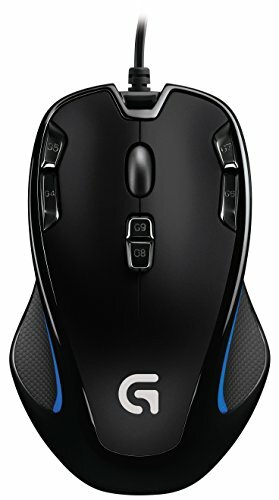 If you’re trying to play action games that only use a few buttons, but require a mouse that maximizes efficiency on a budget then this is my top recommendation for you. Another great deal on an ambidextrous mouse, by a company that knows something about mice. Logitech’s G300s offers an optical mouse with a dpi sensor that won’t knock your socks off (at 2500 dpi), but can’t complain at the price. You can also adjust the dpi settings should you wish a little more control. The G300 does come with quite a few gaming features that make this mouse very attractive for how inexpensive it is. The mouse provides nine programmable controls which to use & program you will have to install the logitech software. Surprisingly you can also store 3 player and game profiles (macros & dpi settings) onboard the mouse as well. The mouse is certainly geared towards more medium to small man sized hands as the mouse is designed to be compact. For the design/aesthetics crowd, there is a customizable LED on the side of the mouse to adjust to many colors of your choosing – also handy for remembering what game profile you have running on the mouse. Longevity of the mouse is also pretty decent, logging in at 10 million clicks before failure. All in all, if you have smaller hands (like me) – this mouse is a very good buy. Some of the main features of this left handed gaming mouse include a 3500dpi razor precision that makes the mouse super sensitive. It also has a 3.5 Infrared sensor which is able to sense perfectly almost in any type of service. For ultra responsive feedback this mouse has three particular buttons which are positioned in a way that they are easily accessible. Furthermore, this particular mouse has hardware toggles which are useful for polling rate and DPI. Its size makes it ideal to be used by people with medium sized hands therefore allowing even gamers with small and big hands to use it perfectly. As you can see this mouse definitely has a lot of features, and the fact that it’s also less than $50 is another reason the reason why I feel the Razer Abyssus is one of the best mouses you can get on a budget. This particular mouse has an ambidextrous shape to allow left-handed gamers to handle it easily. It also has a tournament grade optical sensor which makes one of the most sensitive gaming mice. The mouse has a total of five buttons which are complimented by the heat map of button use. The scroll wheel of this mouse is illuminated to allow complete configuration of the map. To enable gamers using this mouse to have a better grip it has a rounded shape which is useful when it comes to players with hands of different sizes. Furthermore, the mouse comes with a drag and drop macros which also has a timing control. This is another superior left handed mouse from Razer which is light for easy handling and has a V shape to allow the hand of the user to rest perfectly. It is also super sensitive where the gamers who use it do not have to struggle controlling the different features. This mouse has 8200 dpi which is ideal for pro gamers who like high quality sensitivity. It is designed to be used by people with relatively big hands but its ideal shape allows even gamers with relatively smaller hands to hold it perfectly. This is one of the newest and most popular left handed gaming mice. It features the popular Avago 3310 optical sensor which is regarded as one of most precise sensors in the market, therefore, making gaming more enjoyable. The mouse is also regarded as the best left-handed gaming mouse under $100 because it has a lightweight construction and a low lift-off distance, making it more convenient to use. I’d generally recommend it for people who have smaller hands that don’t have to struggle to handle it as it is a rather slim mouse and people with bigger hands might struggle to use the FK1 comfortably. 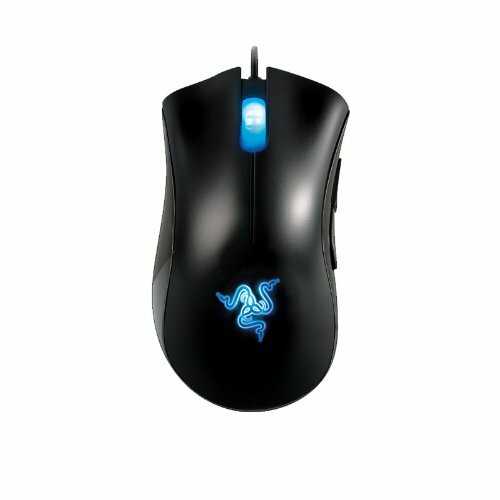 This mouse also has a total of five programmable buttons which will help when playing certain games but is definitely not enough for MMO’s or extensive RPG’s. With all that being said I’d recommend this mouse for people who are looking to play FPS Shooters competitively due to its amazing sensor that really allows you to get the edge on your opponent or any games that have few programmable skills, but require precise actions. Not only does the Elecom gaming mouse have a scientific design that reduces strain while also allowing flexible hand movement while gaming, but it also comes with ample sensitivity for a more enjoyable gaming experience. It also has a trackball which is very rare for mice nowadays, but it’s a great feature that adds to the experience. It is also very light which is paramount for easier movement while gaming. Being wireless reduces restrictions for the left-handed gamers who might want to game some distance from the screen. 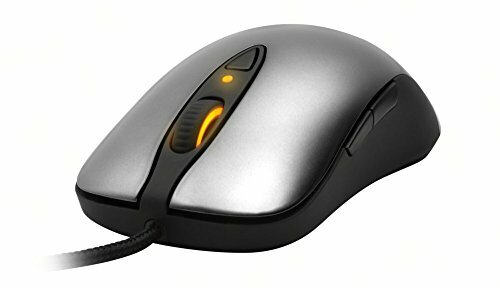 Considering that you get six buttons and a trackball with a tilt feature, I’d say that this is a great left handed gaming mouse that is unique in this day and age and any left handed gamer would be definitely enjoy this. Instantaneous execution is guaranteed with the Razer 1000Hz ultrapolling technology, giving you a response time of 1ms compared to that of 125Hz/8ms found in conventional gaming mice. 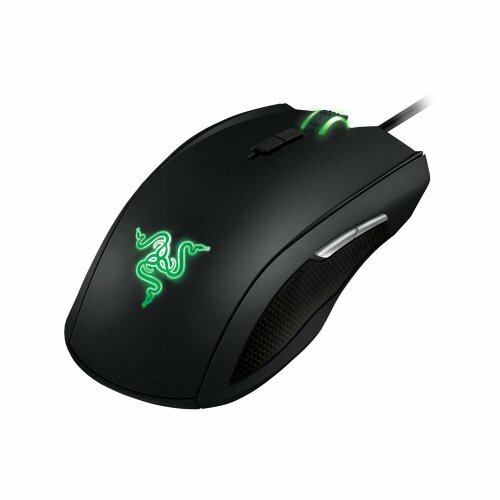 The Razer DeathAdder originally came out as an ordinary mouse, but a left-handed version has been made for the serious left handed gamers. It comes with a 6,400dpi and an optical sensor, making it a very sensitive gaming mouse. This mouse also has five responsive buttons which make using it enjoyable. It is slightly taller and larger than most ordinary left handed gaming mice, therefore, making it ideal for left-handed gamers with slightly bigger hands. It has also been fitted with special grip pads on each side that give gamers a better grip while gaming. There’s nothing worse that playing an intense match and losing because your mouse slips out of your hand. 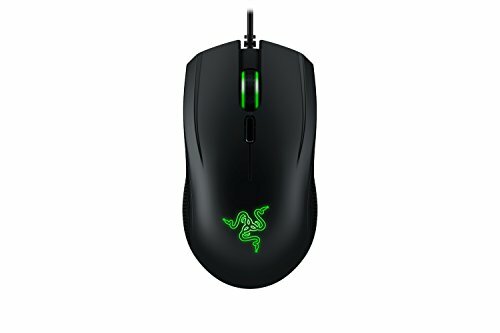 If you’re looking to play some action games with a mouse and keyboard, then the Razer DeathAdder is my top pick for anyone who is looking for a left-handed mouse. This is also a popular left handed gaming mouse that is ambidextrous, meaning it fits in both hands. The Steel Series Sensei is used by many left-handed pro gamers because of its superior features. 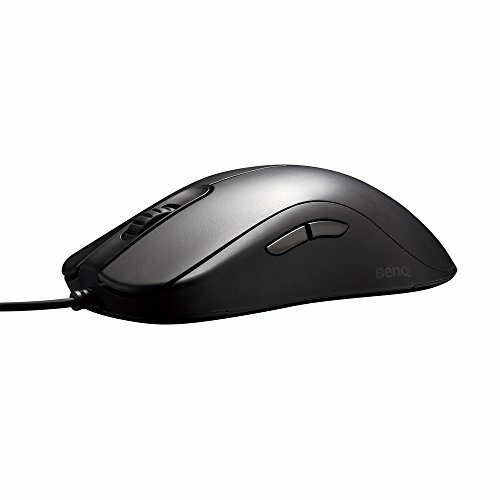 The mouse offers 5.700dpi which can be interpolated to 11,400dpi. Another outstanding feature of this mouse is that it comes with a 75MHZ integrated CPU which allows users to adjust different parameters to make gaming more enjoyable. For more convenient use, this modern left handed mouse has a total of eight buttons. Just like the mouse above I wouldn’t recommend this for someone who’s going to need a lot of programmable buttons, but I would get it if you are looking for a cool looking mouse that is also very responsive. 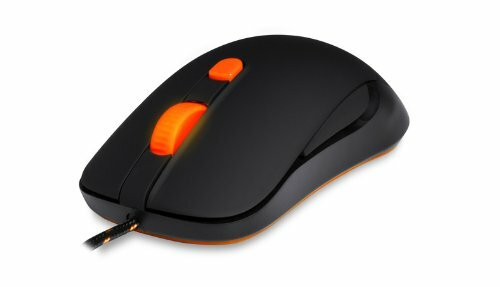 Sure there are cheaper mouses that do the same thing that the SteelSeries Sensei does, but I doubt that they have the same build quality and customization that this mouse offers. So if you are ready to fork out around $60, then this is a mouse worth considering. The Razer Lancehead gaming mouse has an 16,000dpi 5G laser sensor which alone qualifies it to be regarded as one the best left handed gaming mouses (mice?) around. Another feature that makes the Lancehead gaming mouse stand out is that you can order either wireless or wired therefore making it more convenient to use in any situation. To make it even better it has a dedicated clutch trigger which is used to adjust the DPI to the users’ preferences. Its battery is powerful in that it can last for up to 24 hours, therefore, giving users more time to play. Designers of this particular mouse made it in a way that users can reach all the buttons without straining. If you’re looking for a precision gaming mouse that’s suited for left-handers then the Razer Lancehead – Professional gaming mouse definitely takes the cake when it comes to that aspect. On the contrary, if you’re looking for a mouse that will allow you to key bind multiple moves to it then this is definitely not a great choice. Yes the Lancehead isn’t a true left handed mouse only, but considering the fact that it has buttons on each side, I’d say that any left-hander will be more than pleased with this mouse. The scroll wheel on the Razer Naga now goes left and right, as well as up, down and in for more buttons at your disposal, whether for destroying games or navigating a lengthy forum for the best MMO strategy. This iteration of the Razer Naga features an all-new one-size-fits-all ergonomic form factor to ensure your hand fits snugly for maximum comfort. Introducing the most intuitive mouse configurator you'll ever need for MMO gaming. Customize each and every button on the Razer Naga to your personal skillset, macros and hotkeys right from in the game via a non-intrusive overlay. 8200dpi 4G Laser Sensor. No Razer gaming mouse is complete without a cutting-edge mouse sensor to deliver precision and ultra-responsiveness to your game. The Razer Naga is outfitted with a 32 bit ARM processor which means there's a little computer onboard that is computing everything at an incredibly fast rate. 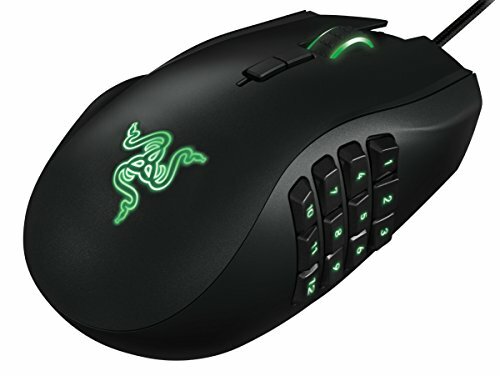 If you’re looking to play MMO games or any game that’s going to require key binding then a Razer Naga is probably your best bet. Not only is this mouse specifically tailored for left-handed gamers, but it also comes with a great deal of other features that make it my top pick in this list. To give you a quick rundown on what the Naga offers, you’ll be getting 12! customizable buttons on the side that are all easily within reach. Adjustable DPI that can go all the way up to 8,200 DPI ( Dots Per Inch). You’d think that since this is an MMO mouse that its precision would be lacking, but the truth is that this mouse also has a 4G laser sensor which is the best precision you can get right now in gaming. The only issue with this mouse would have to be the cost, but if you’re willing to pay a premium price then this gaming mouse is probably one of the best left-handed mouse that’s available right now under $100. There are also some reports that the mouse is a little on the bigger side, so if you have smaller hands you might want to check into that. While there aren’t that many true left handed gaming mice for left handers just yet, there are enough ambidextrous mice out there that more than make up for this deficit. If you have any mice that you would like to add to this list or any helpful tip, please feel free to comment below. I hope you enjoyed this list of the top left-handed gaming mice in 2016. Also, if you’re looking for a good gaming PC then check out my top $500 gaming PC builds post. If you did enjoy this post please SHARE it with others so that other left-handers can learn about these amazing gaming mice! …The Havit isn’t available at all? Yah I’m looking into it. Going to give them another week before I replace it. solid list, I like how you included both ambidextrous mice and also left handed only mice. So which of these mice would recommend to someone who’s trying to bind a lot of macros? 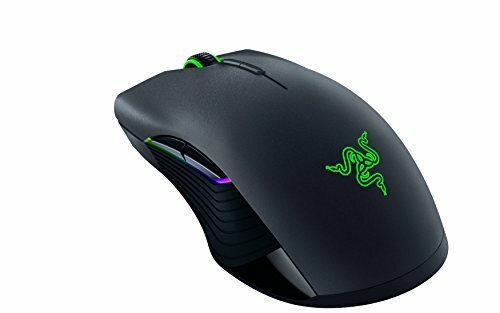 Hey brett, I’d recommend the left-handed Razer Naga as it is amazing for macros and is also left-handed only, giving it a feel that an ambidextrous mouse can’t replicate. Super glad you liked it!